According to both ordinary and scientifi c thought, two objects can enter into relation not only simultanously, but also at different times, namely cross-temporally. For instance, we understand comparisons between entities as they are at different times, such as when we say that John is now taller than Michael was three years ago; causally related events are often not simultaneous, and objects of perceptions and perceivers usually have different temporal locations (we see ordinary things as they were a few milliseconds ago, we see the sun as it was eight minutes ago, and so on). However, many philosophers consider cross-temporality deceptive. Relations, according to the “standard view”, can hold only between things existing in the same time. 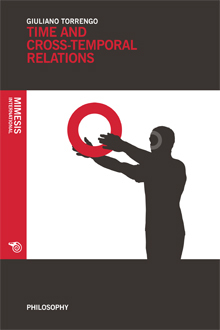 In this book Torrengo defends the opposite view, according to which relations can be cross-temporally instantited and thus cross-temporal talk must be taken seriously. The theory is based on the idea that persisting in time is tantamount to possessing temporal parts at different times, and its central tenet is that persisting entities (objects and events alike) are cross-temporally related by having distinct temporal parts entering into relations. Giuliano Torrengo is Assistant Professor in Philosophy of Language (University of Milan). He is a member of LabOnt – Laboratory for Ontology, University of Turin. He has published articles and edited volumes on metaphysics and philosophy of language. His latest books include I Viaggi nel Tempo. Una Guida Filosofica (2011).